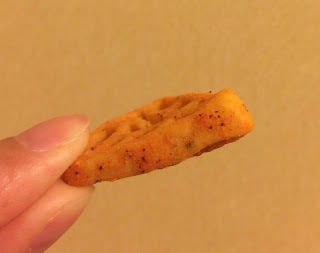 When we stopped by at a mini conbini last night, my husband found a limited time flavor of Doritos. 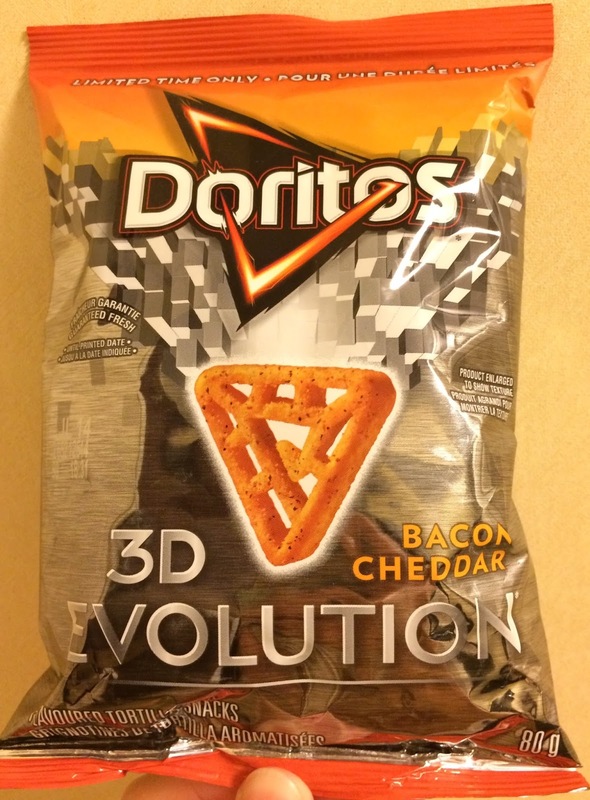 It's 3D Evolution Bacon Cheddar and as he doesn't eat this flavor, we bought a mini bag. 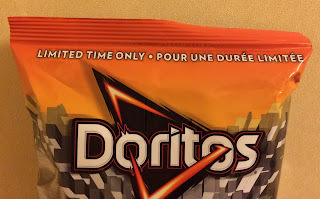 "Limited time only / Pour use durée limitée"
On the back, there're some explanations like always. 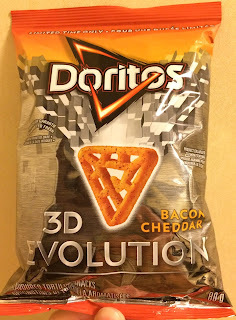 "Experience a new level of epic crunch and bold flavour with new doritos 3D evolution bacon cheddar snacks." When I opened the bag, very strong odor came out and I was in shock how bad it smelled. 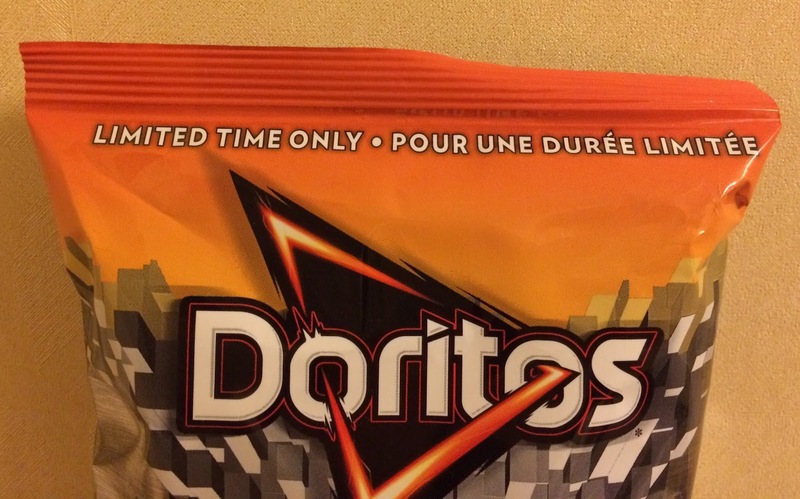 By the scent, I didn't think it'd be good but I ate a piece anyway. 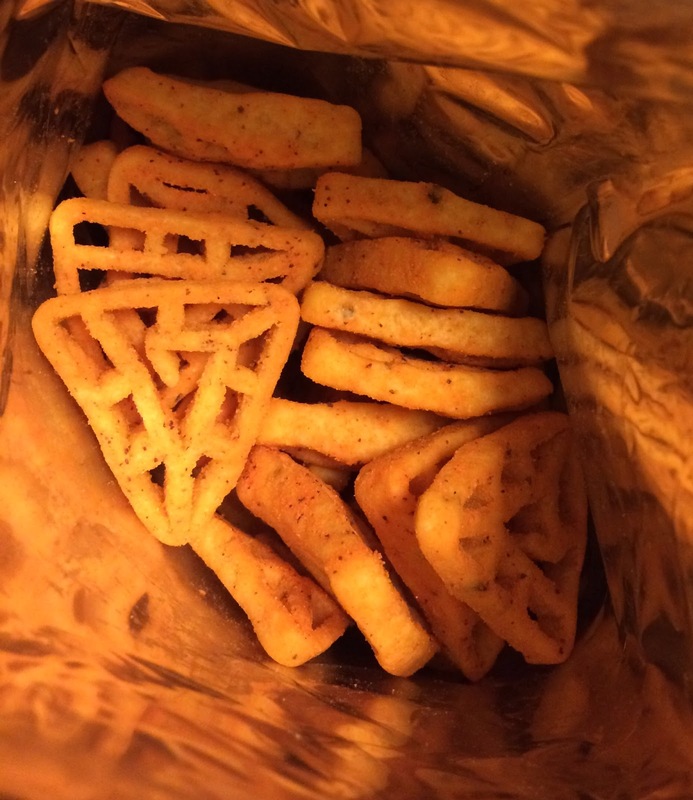 Each piece was thick and fully coated with bacon cheddar flavored powder. As I had imagined, it didn't taste good at all and I couldn't even swallow and spitted it out even though I'm usually ok with bacon flavor. This one had really greasy meaty odor that I sometimes sense when eating bacons. 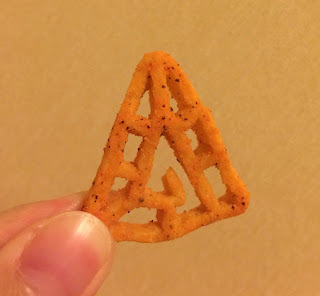 I told my husband to smell it and he said it's quite bad, too. It didn't only have bacon odor but cheddar cheese flavor was strong, and I thought it's a snack with bold odor made with nasty smell x offensive smell. 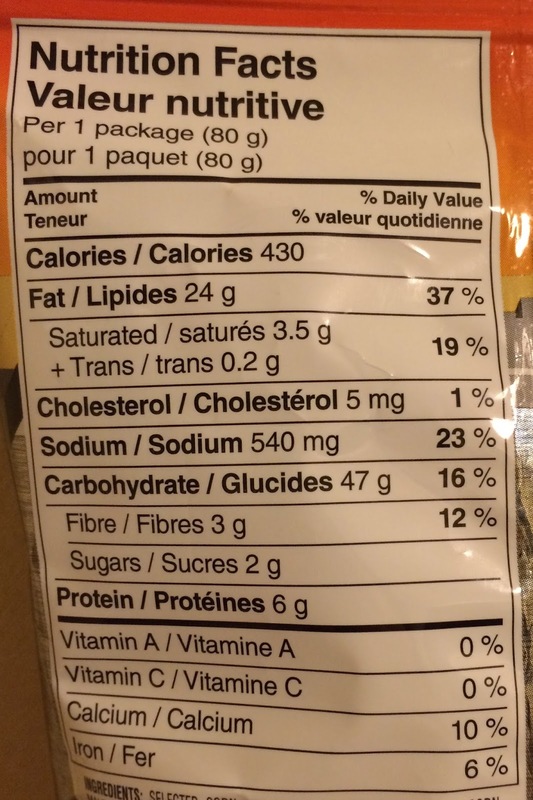 On the ingredients list, bacon fat was listed and I bet that was the cause of the evil smell. 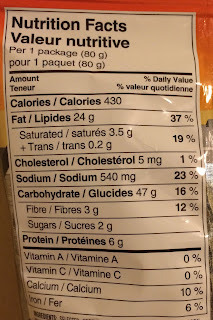 Needless to say, I didn't like this at all.